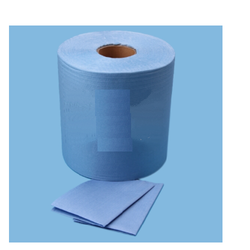 Offering you a complete choice of products which include cleanroom wipes. Sontara Cleanroom Wipes represents technologically advanced wiping solutions introduced by Jacob Holm. This allows you to have the basis for a perfect finish on any surface. All these wipes are widely designed and processed for the specific demands of automotive refinishing industry, cosmetic industry, hygiene products, printing industry and other mechanical industries. These wipes are clean and does not include any chemical or binders in the manufacturing, thus causing no damage to the surface.